When ready to cook, start the Traeger grill on Smoke with the lid open until the fire is established (4 to 5 minutes). Set the temperature to 400 degrees F and preheat, lid closed, for 10 to 15 minutes. Sauté the onions over medium heat with butter until translucent. Allow to cool before adding to meat. In a bowl, add sautéed onions along with all remaining ingredients and mix to combine. Divide the meat into 6 equal portions and form into balls. Indent the middle and flatten slightly to form the shape of a bagel. Place meat bagels onto a sheet pan lined with parchment paper. Bake in grill for 40 minutes or until when an instant read thermometer inserted in the thickest part of the meat reads 165 degrees F.
Remove from grill and allow to cool. Slice like a regular bagel and fill with topping such as tomato slices, lettuce, onions, avocado. Enjoy! 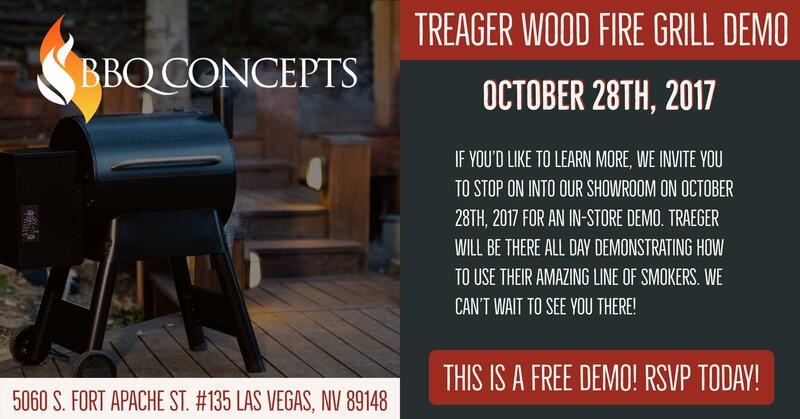 Join us here at BBQ Concepts of Las Vegas, Nevada on Saturday, October 28th for our free Traeger Demonstration Day! We invite you to stop on in and learn about these amazing smokers. 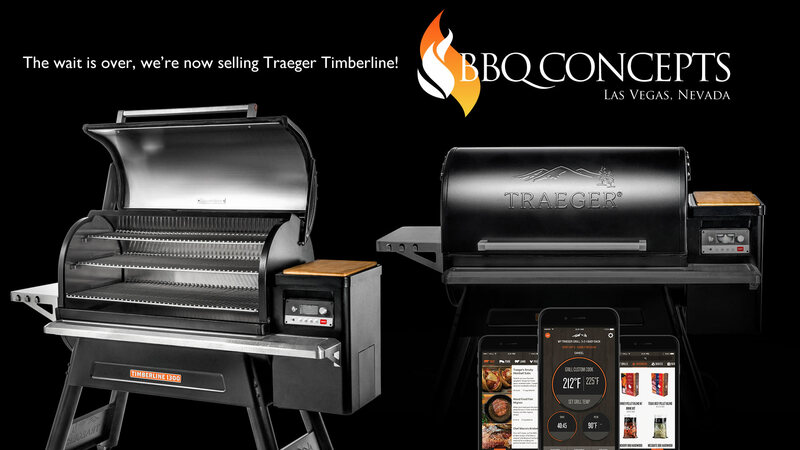 We’ll have representatives from Traeger at our store on the 28th, we’ll have free BBQ samples as well demonstrations on how to get the most out of your smoker. If you’ve be thinking about purchasing a smoker and would like to learn more, this is the day to do it. This is an all-day event, we can’t wait to see you there. You can RSVP through the button below.